Cyclopentasiloxane is one of the most common ingredients used in personal care products today. Synthetically manufactured, it is a silicone derivative that carries a variety of skin and hair applications, such as hair spray and sunscreen lotion, among others. With a larger focus on uses in styling, cyclopentasiloxane is finding more and more popularity in hair care products, and those where a microscopic protective layer may benefit the skin. However, this ingredient is not without its drawbacks, and may accumulate in the body over time. If you choose to utilize products with cyclopentasiloxane, make sure to monitor any changes in your skin, at least during the first several weeks of initial use. 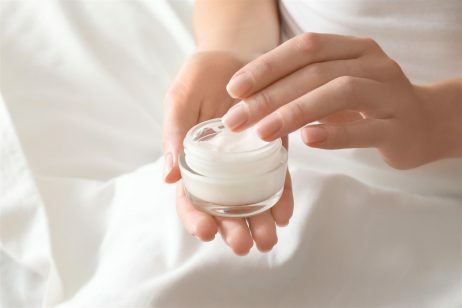 One of the biggest benefits of cyclopentasiloxane is the lower cost it provides for manufacturers of skin care products. For example, cyclopentasiloxane may be used as a cheap alternative to organic compounds like vegetable glycerin, and its concentrations in skin care items can be more easily varied because it is synthetically manufactured. This chemical also has low viscosity (meaning that it’s not very thick), and does not leave significant residue behind on the epidermis giving the skin a smoother, healthier feel. Cyclopentasiloxane also doesn’t cool during evaporation, which is helpful in personal care products because it helps decrease possible discomfort. What makes it a popular additive with manufacturers is that the ingredient is colorless and odorless, which makes the process of mixing it with other ingredients easier. The Cosmetic Ingredient Review (CIR) panel concluded in 1991 that compounds containing cyclopentasiloxane were generally safe to use in cosmetics. Further reviews conducted in December 2005 supported its use, though concerns about bioaccumulation are still thought to be valid. It is believed that cyclopentasiloxane may have some capacity to remove wrinkles, skin blemishes, or stubborn effects of rosacea. Cyclopentasiloxane is also considered an emollient that soothes and softens the skin by keeping moisture locked in. It may also correct dryness by preventing water loss and prevents scaling by holding more water on the skin’s surface. This chemical is also an excellent lubricant that sufficiently stretches water layers on the surface of the skin. However, it is important to understand that the chemical does not nourish or exfoliate skin the way vitamin A or vitamin E would do. Instead, the silicone often acts as a waterproofing agent, lubricates the skin, and offers a temporary shine. Cyclopentasiloxane may also have skin healing properties, because of its ability to create a protective layer, though these effects are yet to be fully verified. Cyclopentasiloxane is used in concentrations ranging from as low as 0.1% to levels well into the double-digits. At the lower end, the chemical is found in hand and body moisturizers, as it provides enhanced feeling of soft skin. Irritation is kept to the minimum, while the good feel effect without cooling does find favor among regular users. At the higher end, cyclopentasiloxane carries active antiperspirant compounds to the skin and hair and also provides a hair cuticle coat. It’s compatibility with most personal care ingredients such as mineral oil, ethanol, and fatty acid esters make it a common ingredient in eye liners, best drugstore eye cream, foundation creams, lip liners, and eye shadow. Hi Candace. I would steer clear of anything with Cyclopentasiloxane in it. About a year ago, I went to an organic hair salon for a cut/style. I purchased a product called “Argan Oil Gloss”; company is “organic coloursystems” (I think they’re UK-based). The first ingredient in this Product is Cyclopentasiloxane. Today, I did a fair bit of research on it because I suspect it’s making me break out on my face and scalp; also making me itch. Washed my hair this a.m. and applied some; then waited to see if there would be a reaction and there definitely is. The David Suzuki Foundation’s website lists it as a toxic ingredient; the EWG website in the United States (Environmental Working Group is their full name) says it’s a “Low” risk ingredient for cancer. According to “The Dermatology Review” website about Cyclopentasiloxane, it “may accumuilate in the body over time”. Somehow, I don’t think that’s too good. In any case, I’ve tossed out the Argan Oil Gloss. 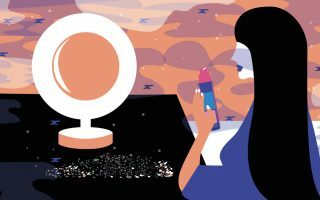 You might want to try “Raindance Cosmetics” website – they’re Canadian;based in Ontario, and they don’t sell anything with toxic ingredients. I buy toner, moisturizer, and hair products from them and have had no issues with anything. There’s also a new one I found a few weeks’ ago called “Batty’s Bath” – also Canadian; based in Ontario. I haven’t purchased anything from they yet, but definitely plan to. Hope this info. helps you out. I think cyclopentasiloxane is not good for you and the government puts it in products to control us with their evil mind tricks. I have concerns using products, especially foundations that have Cyclopentasiloxane. I have been diagnosed with Ovarian Cancer, have had surgery and Chemo and I am trying to use the cleanest products I can find (which is an eye opener) especially in Canada. I have read that there is a possibility of cancer in moderate amounts and wondered what your thoughts are. Thank you.